Design professionals like architects or engineers are contracted to provide a design for construction or improvements to real property. In many cases, construction is completed, and everything seems fine for years before a property owner suddenly claims that there are defects or deficiencies. These claims may or may not be legitimate, and they often can be efficiently defeated with the assistance of a knowledgeable construction defect lawyer. At St. Denis & Davey, we provide a strong defense for architects and engineers in construction defect claims across Florida, as well as in Alabama and Georgia. 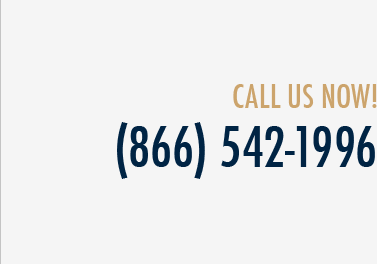 We serve our clients from offices in Miami, Jacksonville, Tampa, and Panama City. Alleged construction defects may include deficiencies in design as well as building code violations, surveying issues, supervision problems, the use of improper materials, or unauthorized changes to the plans that result in harm to the owners of a building. For example, it is not uncommon for owners to allege that a designer failed to consider a particular building code or to allege that water intrusion resulted from an architect's failure to consider the need for specific protections against water penetration in a roof or another exterior surface. Sometimes the defect is alleged to be partially the fault of a designer and partially the fault of a contractor or subcontractor. Florida’s Construction Defects Statute is Chapter 558 of the Florida Statutes. This statute requires owners complaining of construction defects to send a notice of their claim to design professionals as well as other parties, identifying the alleged construction or design defects in reasonable detail, before bringing suit against them. The law applies to residential construction, single-family homes, mobile homes, remodels, commercial properties, and condo units or common areas in which the substantial completion of a building or improvement has occurred. The law does not apply to emergency repairs. Under the Construction Defect Statute, the owner is supposed to provide notice and an opportunity to cure the defect. In some cases, the parties opt out of the procedure, but in most cases, design professionals and other contractor parties would prefer to try to inspect and cure a defect rather than jump straight into litigation. When a plaintiff fails to comply with the pre-suit requirements of Chapter 558, it may be possible to get the case dismissed. Also, it is often possible to assert a statute of limitations defense on behalf of a professional architect or engineer. Section 95.11(3)(c) of the Florida Statutes sets forth a four-year statute of limitations for lawsuits based on the design, planning, or construction of a real property improvement. However, Section 95.11(4)(a), Florida Statutes, sets forth a two-year statute of limitations for malpractice claims against professionals, such as architects and engineers. The date on which the statute of limitations begins to run varies. When a defect is latent, it will run from the time that a construction defect was discovered or should have been discovered in the use of due diligence. In some cases, the owner provides a notice of claim to a contractor, and the contractor forwards this notice to a design professional because it believes that the design professional is responsible for one or more defects specified in the notice of claim. In some cases, the contractor's effort to deflect blame from itself is inappropriate, and it should in fact be the party held liable. A knowledgeable attorney can investigate the situation and determine whether liability is being improperly asserted. Often, it is necessary for a design professional to retain an expert to put forward the reason why the design was appropriate and was not the cause of any damages to the owner or the contractor. Our firm has relationships with quality experts and can retain them as needed to advocate for your position. 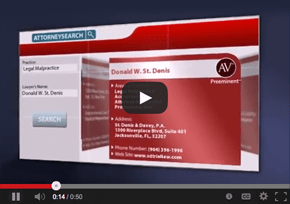 The lawyers at St. Denis & Davey have experience defending architects and engineers in Florida, Alabama, and Georgia. We emphasize the early resolution of claims, aiming for dismissals or settlements during the pre-suit phase when it would be beneficial for our clients. Call us at (800) 785-2153 or (800) 775-8571 or contact us online to schedule an appointment. We also can assist clients who need an insurance defense lawyer or representation in a wide range of other legal matters, such as premises liability defense, dealership defense, medical malpractice and nursing home defense, and labor and employment defense.